Are you done with using a razor? Does the idea of threading or tweezing make your cringe? Don’t worry, we will prepare and pamper your skin for the most comfortable experience possible. Sometimes when we use a razor, we forget some areas or sometimes the razor is not sharp enough to remove all the hair from our bodies. 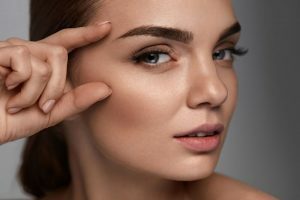 Threading is a popular treatment, but it can be painful, and it also doesn’t treat multiple areas. We provide a treatment that will make you get rid of that razor and tweezer. Ellehomme Holistic Med Spa offers waxing Chicago from head to toe! Sparlor offers you a touchable, smooth skin that leaves you feeling absolutely gorgeous. What benefits does Waxing Chicago have? What should you do before waxing? Tired of the razor and threading? Ellehomme Holistic Med Spa offers waxing Chicago! If you have any questions or concerns regarding waxing or any other treatment that Ellehomme provides, contact us today! We look forward to hearing from you!